Deciding what to use for your patio can be a tough choice. 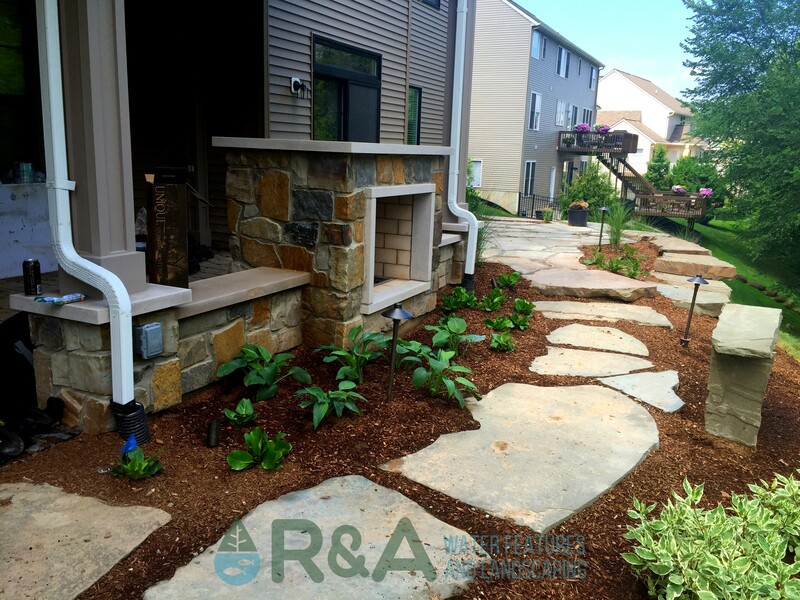 Should you use tumbled pavers, flagstone, maybe stamped concrete? There are a lot of options to chose from. 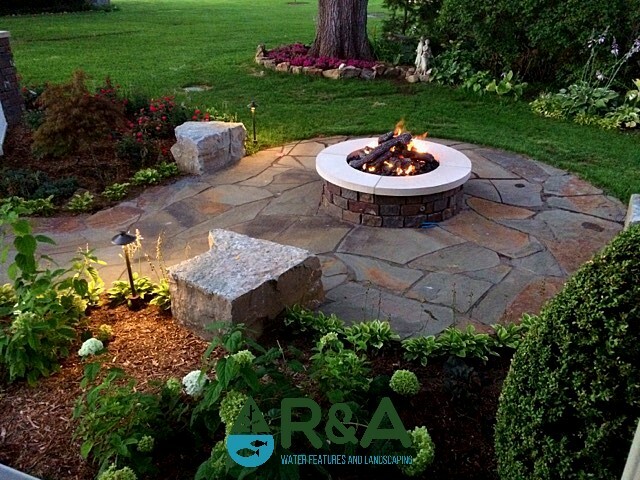 One of our favorite materials to use is flagstone. And when we use flagstone in an informal way, meaning there are gaps between pieces and there is no specific pattern, it creates a rustic beauty that many other materials cannot achieve. Since there may be a large space between flagstone pieces, we sometimes like to use a steppable groudcover to fill in the spaces. However, informally laid flagstone is not for every home owner. Is this a high traffic (or primary) gathering area? This surface would not be ideal for small children, high heels, or some lawn furniture and grills. Will I need to clear snow from this path/patio? For obvious reasons, shoveling or snow blowing this type of surface can be very difficult. What is my tolerance for maintenance? While there is no such thing as a no-maintenance surface, informally laid flagstone will require more care than your average paver. Especially when you start growing a steppable groundcover in the joints. Many homeowner's love the look of the informally laid flagstone, and even those that were a bit hesitant with the look in the beginning have ended up becoming some of the biggest fans. 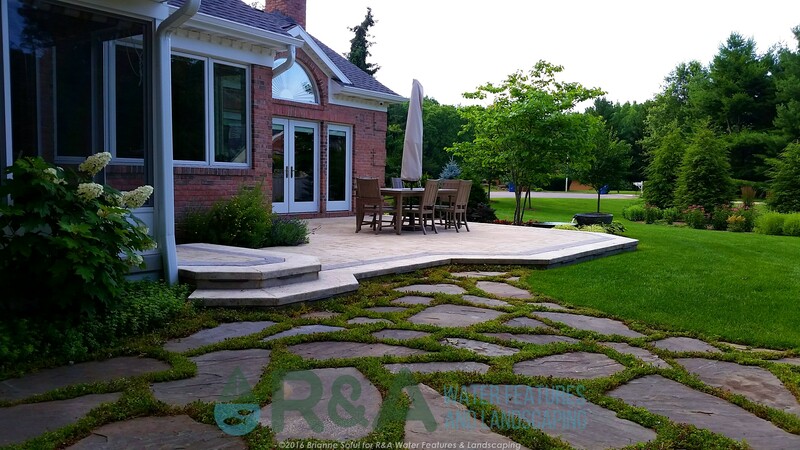 We know not everyone will want a rustic look for their patio surface, and really...the surface you choose will depend heavily upon your personal preferences. Some want a clean modern look with linear pavers, others may want a traditional look with classic pavers, and there are those that want the simplistic look and feel of stamped concrete. Whatever look you are in search of we can certainly help you achieve your goal.